I run this little experiment for Executives from time to time. It's time to run it for you as well, given that Sears is about to close 100 - 200 stores, given that Best Buy ramped-up sales by about 20% and was killed, from a profitability standpoint, after discounting to compete with online brands. Experiment: Pretend you want to purchase a pair of UGG Dakotas. Saks.com: $100 + $10 shipping/handling + $9 sales tax = $119.00. Saks in Store: $100 + $8 sales tax = $108.00. Nordstrom.com or Nordstrom in Store: $99.95 + Free Shipping + $8 sales tax = $107.95. Zappos.com, Most Markets = $100.00 + Free Shipping + $0 Sales Tax = $100.00. So there you are, in your favorite Saks store in California, and you pull out your smart phone, and you realize that you can buy the same shoes at Zappos for eight dollars less, and Zappos will get the shoes to you, tomorrow. You try the shoes on, they don't fit, you try on a different size, they do fit, and then you tell the sales person, "Thanks, but no thanks." Saks becomes a virtual showroom for Zappos. Remember, just a few years ago, when the pundits told you that you HAD to integrate bricks 'n clicks to make 'em stick? Click here to read all about it! Today, you integrate everything so that Google indexes it properly, so that your customer has an outstanding multichannel experience, and you are required by law to collect sales tax. The combination of smart phones, pricing comparison (which existed for a decade or more), a dying middle class, debt required to open retail stores, overhead required to keep retail stores running, and online competitors that don't have to collect sales tax completely hoop you!! In my work, I repeatedly see how the death of the middle class and digital technology result in the plundering of existing business models. Ten years ago, a customer was willing to pay an extra $10 or $20 per item (the customer could still comparison shop online, remember). Today, the middle class is being shredded economically, requiring customers to be hyper-thrifty. This trickles down to the businesses we manage. Today, there are three types of businesses. Low cost, low overhead, lowest price for a customer with high-service or average-service (think Zappos). High-service or positive brand perception or value-added business (think Nordstrom). Everybody else (think Best Buy or Sears or Coldwater Creek or pick your favorite, almost everybody else resides here). Now, please take a moment, remove your CEO/EVP hat, and put on your consumer hat. Under what circumstance would you pay an extra $10 to $20 to buy the Uggs featured above at Saks/Nordstrom instead of Zappos? Be honest. Because honesty will yield the only competitive advantage you have. Is your competitive advantage sustainable? Profitable? It's 10:47am, Did Cuddledown of Maine Run Out of Sheets in the Past Half-Hour? If there is anything that mobile taught us in 2011, it is the simple fact that mobile matters when there is something in it for the customer. I like to use "Cuddledown of Maine" as an example, not because I work with them (I never have), but because they offer a really solid reference point for the rest of us to consider. Under what circumstance would mobile help you purchase 400 Thread Count Sateen Meridian Print Bedding? Be honest! And once you identify the circumstances, how many target customers at Cuddledown of Maine meet that criteria? In 2011, mobile worked when there were significant price discounts offered, or there was some sense of urgency (think eBay). Keep that in mind as folks tell you that "mobile changes everything" in 2012. What is the problem that mobile solves for your business? It wasn't all that long ago that digital cameras supplanted film. I remember getting film developed, having Kodak put 45kb digital scans of my snaps on a 3.5" disk ... this was probably just a decade ago. And now, digital cameras are being put out to pasture by smart phones, according to the LA Times. Catalogers aren't the only ones being transformed. Anything that touches the internet gets transformed. Increasingly, things that touch mobile are transformed as well. Our strategy of bolting the future to the past seems to work less well with each passing year. Boxing Day, the day after Christmas, is an opportunity for folks to swap roles. So why not think about doing this when you get back to the office, in honor of Boxing Day. Choose five of your brightest employees under the age of 35, non VPs. Ask them to craft five goals and objectives for your business for 2012. See what this generation of future business leaders thinks about the direction of your business. Compare it to what your Executive Team thinks about the direction of the business. Is there a disconnect? Probably. It is because these folks are inexperienced? Maybe, maybe not. And, honestly, eleven isn't the real number. The real number is something closer to infinity. This is the problem with where we've been, and where we are going. Back in the day (or today), we bellied-up to the poker table, and we bet $60,000 in chips on an "affinity model", or whatever neat name has been created for algorithmically-derived prospects. Even if we had hardly any money left, we were willing to go "all-in", because we knew that we'd get $50,000 to $70,000 back, with the potential for another $20,000 in future value. It was(is) too easy. You only need one analyst to communicate to a co-op analyst and a merge/purge analyst, and an entire business suddenly scales. Toss Google into the mix, and your one analyst can work with a search vendor analyst. You hire one person, and that one person delivers 85% of the new names acquired by your business each year. Think about that for a moment ... one analyst (ok, at big companies it's maybe 3-4 analysts, but so what), 85% of the new names, and 90% of your future profit ... let me say that again ... one analyst and 85% of your new customers and 90% of your future profit. What's not to like about that? That "scales", doesn't it? Social Media doesn't work, for a LOT of reasons (it also, by the way, is the reason for most of the sales for many business models catering to a non-catalog audience ... customers under the age of 30). Responding to hundreds of fans on Facebook. Posting daily content on Facebook. Responding to hundreds of followers on Twitter, linking many of them with the Customer Service department due to problems with recent orders. Writing 2-3 articles for the company blog, each week. Answering a half-dozen blog comments each day. Attending four hours of meetings each day, and, often, getting jeers from co-workers who feel that the individual is not generating sales. Creating Foresquare promotions that will be accepted by the retail marketing team. Trying to get the analytics team to measure the value she brings to the company, having the analytics team say that her initiatives are not a "high priority". Making sure that all channels will accept promotions she offers on Twitter. Having to tweet promotions from all other channels in order to create multi-channel "synergy". Research new social media channels. "Join the conversation" with other marketing executives chatting via social media. Doesn't sound like much fun, does it? Now, you could hand off the responsibility for all social media activities to your call center, that makes logical sense, but that doesn't help social media become part of the "fabric of your brand", does it? And it's only going to get more complicated than this. No wonder the social media elite want for you to find ways to get your "brand advocates" to evangelize for you! It's like we're trying to leap the Grand Canyon by getting a 40 yard running start and then jumping up in the air as we run out of real estate ... the task is hopeless. In 2012, we need to begin the process of getting from one side of the canyon to the other, without taking a running start that renders a mathematical certainty (plunging to the bottom of the canyon). The reality is that there is a mix of old-school / online / mobile / social that works for all customers ... the problem is that the mix is different for every single customer! Do it all, and you'll be unprofitable. Do only pieces of it, and you are stuck in a no-growth environment. The traditional label of "multichannel" simply doesn't scale anymore, does it? 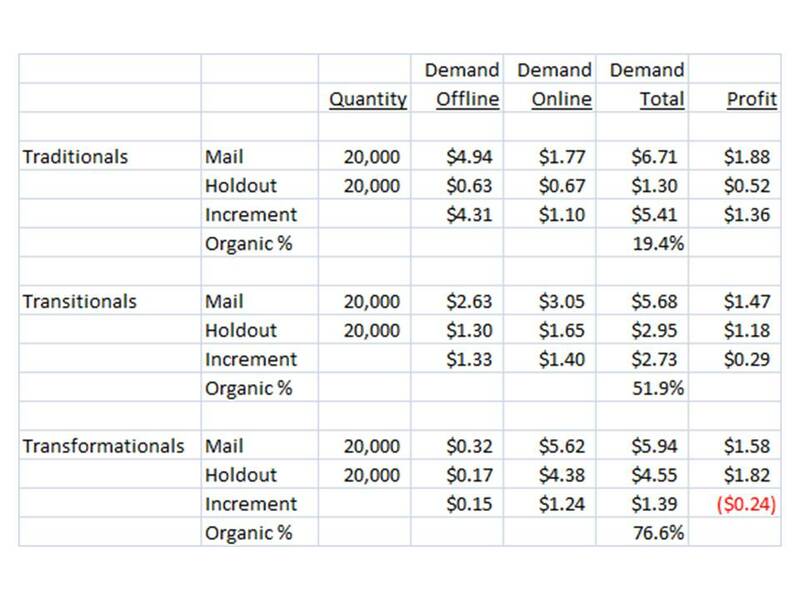 Each new channel either completely cannibalizes an old channel (catalog --> e-commerce --> mobile), or there are literally an infinite combination of new channels (social) that do not appear to have any short-term impact on sales. And if you want a new channel to work (flash sales), you have to give merchandise away in order to "prove" that the new channel works ... which, of course, means that the new channel truly "doesn't work"! I'm not trying to put coal in your stocking. Instead, I'm trying to agree with you. All of this stuff has become complicated, hard, and not directly measurable. And the "success stories" that we read about aren't portable, in other words, you can't cut and past what somebody else did, and expect success. I do believe that various methods for "emerging from the chaos" will become apparent, not necessarily in 2012, but in 2013 - 2015. As the USPS slowly kills off cataloging, catalogers will move online. And as mobile slowly kills off e-commerce (for some), folks will make the jump to mobile. And somewhere in that mix social will play a yet-to-be-determined role. At an individual customer level, you throw out all rules, don't you? Our job is to categorize customers (Traditionals, Transitionals, Transformationals), then either push marketing at them as we always have (Traditionals) or figure out how relate to customers who pull personalized content to them (Transformationals). But we will get there, we always do. 2012 might be the "Year of the Analyst". And not in the manner of pundit-speak that we frequently read about, either. Instead, this could be the year that folks realize, "I need somebody whom I can call upon, right now." Historically, the approach has been one of "hire and train", "overpay and pray", or "outsource and remorse". Maybe it is time for a different approach. There's never going to be enough analytical talent available, and from an analyst standpoint, nobody is ever going to pay you enough to cause you to feel valuable. So try this. When you have a problem, assign a dollar value to the problem. Maybe you need to understand what the impact of Cyber Monday was on your business. You feel like this answer is worth $10,000. You publicly offer to pay $10,000 to the organization who best answers the question. You only accept the first five submissions, and you guarantee to pay $10,000 to the answer that best meets your expectations. You give a deadline, just like you normally would ... you give the public ten days to arrive at an answer. And if you don't like any of the first five answers, you give the option to offer to make the payment to the next five options. Oh, and by the way, each submitter gets to see the results of every submission. If you don't like the first five submissions, you make them public, and you describe why the answers aren't satisfactory. I know, your legal department hates this, so you won't do it. Sometimes you have to remind the legal folks who is paying their salary. Tell me how this can be a bad thing, from a corporate standpoint? You get somebody to work on your problem. You get to see at least five different answers to the same problem. You're only out $10,000. You're not paying benefits. You're not forced to give 3% cost-of-living increases. You're not stuck in a frozen headcount environment. And you are exposed to potentially smart folks. Tell me how this can be a bad thing, from an analyst standpoint? You could be an analyst at Macy's, and then somebody from Best Buy offers $10,000 to solve a problem ... you get to potentially augment your salary, you get to attack different problems, you get to see how you stack up against other individuals. I'm just saying, maybe it is time to re-think this "I can't hire analyst talent in Western Kentucky" meme. In the song, we hear of nine ladies dancing. Now, be honest, when is the last time you saw nine employees celebrating? The beautiful thing about sports is that somebody gets to "win". And even if you're a terrible team, say in baseball, you still win 50 times a year ... every third day, you win. If you're a terrible football team, you might not even win one game. But within each game, you might score three touchdowns, meaning you have three opportunities to celebrate. When is the last time you celebrated anything meaningful at work (other than getting a cake to celebrate that a co-worker is leaving the company)? In 2012, pick nine events that are worth celebrating, and celebrate them like you just scored a touchdown or just won a baseball game. Did conversion rates beat expectations by 20% vs. last year for an entire week? CELEBRATE! Did you launch a new product that performed 30% above the new product performance average? CELEBRATE! Pick nine events that are worth celebrating. Teach your co-workers that it is ok to celebrate wins. God knows you're going to get beat up over things that don't work, so why not celebrate things that go well? This is a difficult one, isn't it? We've been hearing about personalization for twenty years. Usually, personalization came from the vendor/math side of the spectrum. "Imagine if a home page looked exactly the way you want it to look, with products and services customized for you, based on your past purchases and preferences?" Quick: Name one company that you believe accomplishes this ... one e-commerce company that offers you a truly personalized experience that meets or exceeds your needs? Personalization is seldom accomplished by computer algorithms, though it can sure receive a nice assist from computer algorithms. In 2012 and beyond, products and services are increasingly personalized ... in fact, personalization "becomes" the product. Take Flipboard as an example ... a personalized mobile magazine, if you will ... but personalized because you personalize it, not because an mathematician does it for you. If you want to have fun, find eight personalization services (using Google, it should take all of three minutes to accomplish this, speaking of a mathematical algorithm that personalizes search results for you) that you would consider using. Create a presentation around the services ... think hard about how your business would personalize content for your customers. And I'm not suggesting "creating three versions of a catalog with a customized merchandise assortment and your own personalized landing pages that you arrive at via a QR code. ", though that may work just fine. I'm asking you to take it further than that ... in 2014, how could your customers communicate with you, how could they integrate your content with other content (think Flipboard) in a way that works for the customer? The 7th Day of Christmas = Seven Hours of Meetings. It's hard to communicate, isn't it? Based on what you tell me, you're in a lot of meetings. We'll try to align schedules, and you'll tell me that the next time you have a free hour is January 11, from 5:30pm to 6:30pm. Why not try to eliminate one meeting a day? Instead of working one extra hour to accommodate another meeting, just eliminate a meeting. Go from seven hours of meetings a day to six hours of meetings a day. And in 2013, go from six hours of meetings a day to five hours of meetings a day. Use the extra hour of time to increase profit. In the actual song, it is "Six Geese A Laying". We've all witnessed geese, flying five hundred feet above us, in that classic "V" formation. In 2011, I heard from many of you. One thing surprised me. Compared with when I started MineThatData, I can honestly say that many of us are flying above the surface, in a classic "V" formation. In other words, we're not on the ground floor, doing the actual work. Instead, we're up in the sky, all in formation, doing the same thing. We aren't in the trenches. We have become great at all singing in unison that "Blackberry Devices are Dead" or "Amazon is Driving Down Prices" or "Free Shipping Will Be Table-Stakes". Heck, I sat with an Executive last summer ... this person issued a 2,500 word thesis on the future of Amazon and commerce ... but when I asked the Executive what this meant for his business, he drew a blank. We're flying in formation, in unison. We're not on the ground floor, doing deep dives about our own business. Maybe we don't want to be accountable for what happens when we do a deep dive about our own business. In 2012, schedule six deep dives ... and I'm not talking about micro-managing the search manager about long-tail keyword bidding strategies ... no, I 'm talking about actual strategy. "What do we do when the USPS no longer exists as a functional delivery service in 2015?" "What would we do if Google obliterated Natural Search?" "Describe what you'll do on a tablet device in 2015, and how do we manage the resources we need to do this in 2015?" 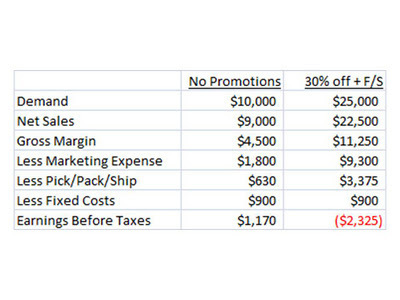 "What does our expense structure look like if we offered free shipping 24/7/365? What would annual sales look like?" Or more specifically, in our world, profit. Having just come off of Cyber Monday, it's obvious that we have no clue how to calculate profit. Or take a look at an income/expense statement for any Federal, State, or Local government, and you'll be reminded that we have no clue how to calculate profit. In 2012, we should make a commitment to calculate the profitability of all of our activities. Now, the rest of the world is going to cheerlead this event into the stratosphere. They're going to tell you that your business increased by 150% by offering 30% off plus free shipping. They're going to tell you that this "changes everything". Yup, it sure does change everything. It means that you lost money, and if you keep this up, you'll make the pundits happy, but you'll be out of business. It's not hard to calculate profit. Sit down with somebody in Finance, and have that person set up a "quick-and-dirty" profit and loss statement for you, preferably in Excel. Have the individual teach you how to calculate profit. Sometimes, three wise people need to go on a journey. Maybe they deliver gifts. Maybe they dispense wisdom. In 2012, wisdom comes from many sources. In the old days, wisdom came from folks who have been through the wars and have the scars to prove it. Today, wisdom is complemented by a much younger generation, one that augments years of experience by obtaining "reps", rapidly. In 1990, I was running algorithms against millions of rows of customer data, on a mainframe computer. Each run would take six or eight hours. In 2012, I am running algorithms against tens of millions of rows of customer data, on a laptop computer. Each run takes five to fifteen minutes. In other words, I am analyzing ten times as much data as in 1990, and I am analyzing it forty times faster than I analyzed it in 1990. I get 40 "reps" in 2012 for every "rep" I got in 1990. This means that I acquire wisdom much, much faster in 2012 than in 1990. In 2012, I'd create a panel of three individuals. A "historian". This person knows the history of your brand, inside-out. This person knows what worked and what didn't work. This person is respected by peers. A "futurist". This person can visualize emerging trends, synthesize them, and craft strategies to deal with a changing marketplace. This is one of the best and brightest VPs or Directors in the company. A "generationalist". This person must be under the age of thirty. This person informs the "historian" and the "futurist" how a new generation of users transform business in the future. When you have a thorny business problem you want to solve, give the "Three Wise People" a chance to formulate an opinion on the topic. Make this a team that employees want to be part of. For instance, if you're going to put your catalog on an iPad, well, maybe you pass the strategy by this team first. Let the "historian" share past successes and failures, communicating the dynamics that allow this company to succeed, historically. Let the "futurist" communicate where the marketplace is heading. Let the "generationalist" communicate how the under-30 audience is using technology. Combined, the "Three Wise People" issue a position on the topic. 2nd Day of Christmas = Two Sources of New Customers. These, of course, would be Google, and your favorite Co-Op. What do you know about the names offered to you via Google, and via your favorite Co-Op? The average catalog brand generates maybe 75% of all new names from Google and from Co-Ops. You'd think we would know more about these names, given that over the course of the past five years nearly our entire twelve-month buyer file has been sourced from Google / Co-Ops, right? Honestly, we don't know anything. Algorithms are now in charge of our business. The only thing we control is the merchandise we offer, and too often, we adjust the merchandise assortment based on response of Google / Co-Op names. In 2012, we're going to better understand how algorithms now control our business. Too often, in 2011, you told me that Google / Co-Ops were swinging business performance in ways that were out of your control. We're going to have to learn how we can take control back from the algorithms. In this twelve-part series that parallels the tradition of the season, we'll explore the concepts that are likely to shape catalog marketing in 2012 and beyond. We're going to deal with a big disconnect in 2012. Catalogers, by and large, should be able to "tell a story" far better than any e-commerce brand. I mean, after all, a dozen times a year, catalogers publish magazines that weave together a compelling story, helping customers cross-shop vital parts of the merchandise assortment. E-commerce brands, by contrast, create landing pages that random names may or may not shop, based on the appropriate matching of long-tail keywords, discounts, free shipping, and merchandise. Apps like Catalog Spree represent the embryonic stages of tablet commerce. We're going to learn several things in 2012. Tablets do not equal Mobile. Mobile fans will categorize Tablets as Mobile in an effort to make Mobile look stronger. Catalogers have a huge creative advantage in Tablet Commerce. This huge creative advantage will not be realized due to an audience disconnect. The very customers likely to shop via apps are not likely to be catalog customers ... catalog customers, by contrast, will be the least likely to want to shop via apps. In 2012, the catalog brand that figures out how to market to a new audience via new technology has a chance for a very robust 2015 - 2020. Catalog brands trying to force a 55+ rural customer to shop via an app are less likely to experience success. Are you one of millions of marketers/analysts trying to prove that engagement exists, and more important, leads to increased return on investment? The pick up a broom and start sweeping ... I'll show you a method that loyalty marketers have been using for twenty years to prove that loyalty marketing delivers a return on investment. 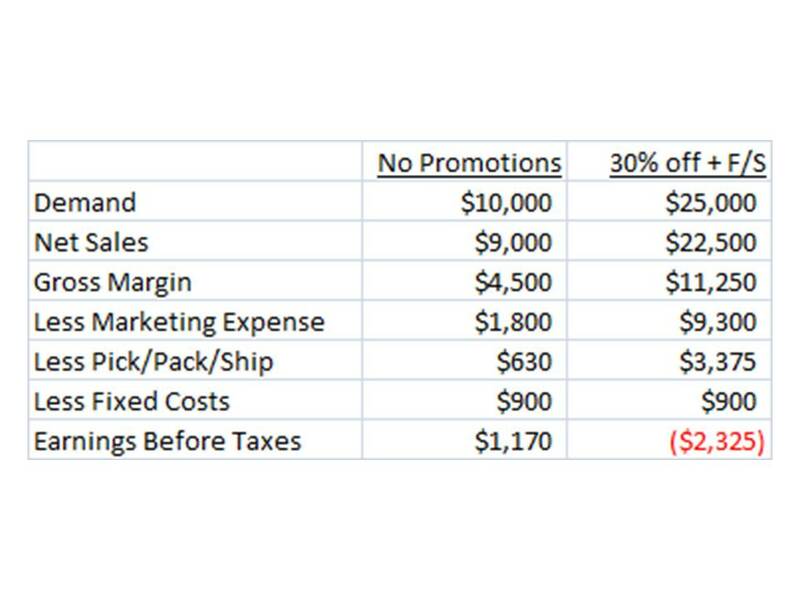 I use more technical versions of this methodology to calculate the value of loyalty programs for current clients, running a full profit and loss statement on the outcome of this analysis. Hint: It works! Step 1: Create your engagement measure. This will be a different metric for everybody, so there's no sense spending time discussing it, you are the expert at knowing your business. Customers who you consider to be "engaged" receive a value of "1", while customers who you do not consider to be "engaged" receive a value of "0". Only use the timeframe up to 10/31/2011 for your engagement period. Step 2: Create RFM-based variables. For each customer, through 10/31/2011, calculate months since last purchase, number of 12-month purchases, number of 13+ month purchases, and historical average order value. Your audience is comprised of all customers with 1+ purchase (via Step 2). Step 3: I will assume that you don't have profitability data, so let's make this really easy. Create a variable called "Future" ... it has a value of "0" for all customers who did not purchase from 11/1/2011 to 11/30/2011 ... it has a value of "1" for all customers who did purchase between 11/1/2011 to 11/30/2011. Step 4: Match the query in Step 3 to the query in Step 2. Then, match these queries to Step 1, all at a customer level. 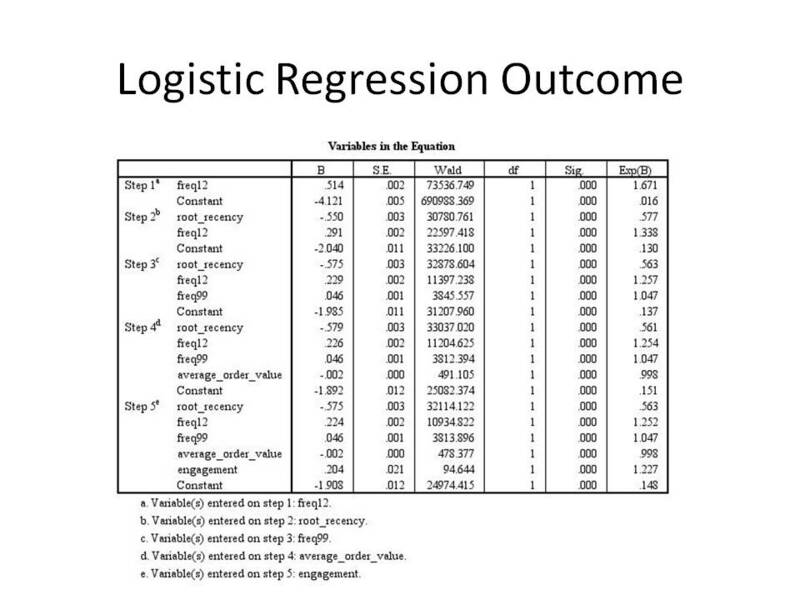 Step 5: Run a Logistic Regression (you can take this much further if you have profitability data ... Logistic Regression for response, OLS for spend/profitability). Regress Future against Recency (usually Square Root of Recency), 0-12 Month Orders, 13+ Month Orders, Average Order Value, and Engagement. If "Engagement" is a significant predictor with a positive coefficient, then you just proved that, for the month of November, engagement during October led to an increased probability of a customer purchasing in November. In this example, the square root of recency is easily most important. Recent orders carry about 5 times the weight of older orders. Large dollar orders result in customers less likely to buy again in the future. And most important (while not terribly significant), customers who were "engaged" in October were more likely to buy in November, after accounting for all other RFM-based variables. In fact, "engaged" customers were 22.7% more likely to buy again, all things being equal. Armed with this outcome, we can put a profitability number on "engagement". We'll make the financial analysis terribly simple, for demonstration purposes. Let's assume that we have 250,000 customers in the database. Of the 250,000 customers, 5,000 are considered "engaged". Let's assume that our 250,000 customer database has a 3% chance of buying in November. And let's pretend that, if a customer purchases, the customer will spend $100. Finally, let's pretend that 35% of demand flows-through to profit, and let's pretend that one employee is responsible for improving engagement, at a cost of $8,000 per month (salary + benefits). Total Expected Housefile Demand = 250,000 * 0.03 * $100 = $750,000. Now, we know that 5,000 engaged customers are 22.7% more likely to purchase because they are "engaged", right? So, our calculation changes a bit. Total Expected Housefile Demand = (245,000 * 0.03 * $100) + (5,000 * 0.03 * 1.227 * $100) = $753,405. The impact of engaged customers is ... $753,405 - $750,000 = $3,405. At 35% profit, this translates to $3,405 * 0.35 = $1,192 profit. But, we hired an individual to generate engagement, and we paid the employee $8,000 to get the job done in November. How many "engaged" customers do we need to make the effort worthwhile? Well, we have 5,000 engaged customers who generated $1,192 profit, prior to employee costs, or $0.2384 profit per customer. To offset employee costs, we need 8,000 / 0.2384 = 33,557 engaged customers. We demonstrated that engaged customers are 22.7% more likely to purchase, all things being equal. 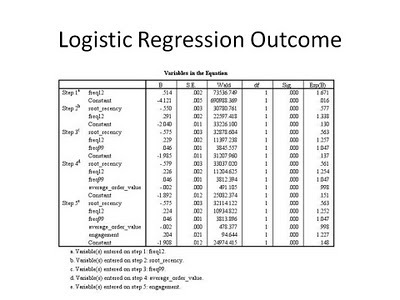 In this example, Engagement does lead to improvements in customer loyalty. And isn't that what you really wanted to demonstrate? We only have 5,000 customers meeting "Engagement" criteria. As a result, we only generated $3,405 of incremental demand. After accounting for employee costs, our engagement efforts are not generating a positive ROI. Every engaged customer is worth an additional $0.24 profit, per month, to the company. If subsequent engagement activities result in having at least 33,557 engaged customers, we can demonstrate that increased engagement can be accomplished at break-even levels. Statisticians will poke holes in this entire argument, and that's fine ... they can build on or change the methodology to be more appropriate for their needs. Statisticians, however, are not the audience I am speaking to. I am speaking to you, the Marketing Executive / Analytics Expert. And I just showed you a method that can easily demonstrate the return on investment of "Engagement" ... a method that is more scientific and more accurate than what you're taught out on Twitter. Now go take this methodology, and do something with it!! Stop talking about how hard it is to measure the value of Engagement ... it isn't hard, I just showed you, for free, how to do it!! No more excuses ... just go do it!!!! If you'd like for me to do this for you, hire me (click here), and I'll tell you what engagement means to your business. If you think this was valuable, would you at least tweet is or share it on Facebook or on Linkedin, as a way of demonstrating that Engagement can be linked to ROI? Transformational customers have different interests than do Traditional customers, the customers that generated billions in profit for the catalog industry. Take a look at the Transformational section of the table. 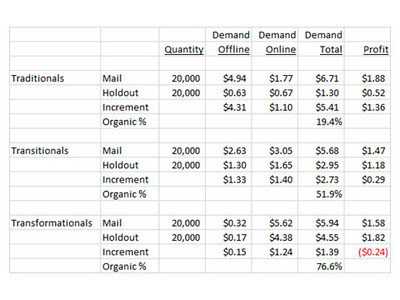 When you don't mail customers to these customers, you still maintain 76.6% of demand. In other words, these customers shop you for reasons other than catalog marketing. Traditionals must be mailed catalogs. Transformationals practically ignore them. We do Transformationals a disservice with our matchback analytics. As you can see, matchbacks would tell us that the customer generates $5.94 demand, while testing suggests that the customer spends $1.39 because the catalog was mailed. This customer shops for reasons other than catalog marketing. So why mail this customer? You lost $0.24 profit. Now, granted, instead of 21 mailings a year, maybe you can get away with four or five or six. Save some money! It's not hard to score your file into Traditionals, Transitionals, and Transformationals. Contact me (click here) and we'll get you set up!! Take a look at Transitionals. Your matchback results tell you that you generate $1.47 profit. Reality (mail vs. holdout = increment) tells us that we generate $0.29 profit. 51.9% of demand in this segment is generated organically ... meaning that our matchback results are literally doubling the real performance of the segment. This doesn't cause the business harm when we're talking about productive customers. But when we're talking about segments that spend maybe 70% of this outcome, well, then we are harming the business, we're mailing catalogs we should not be mailing. This is a classic use of Traditionals, Transitionals, and Transformationals. We overlay the results on our existing mailing strategy, and we quickly learn how we should be mailing customers. There are many ways to acquire new customers. Some companies (probably yours) pay a co-op $0.06 per prospect, for the right to mail a prospect one single time. Of course, the cost is far greater ... you owe your printer $0.17 per prospect, you own your paper rep $0.17 per prospect, and you owe the USPS $0.17 per prospect. You owe the company that delivers the catalog deep into the postal system a penny or two per prospect, and when that customer visits your website, you owe a series of vendors who keep your website buzzing a penny as well. You owe the power company a fraction of a penny for providing the coal that runs your website. I could go on and on. You pay a ton of people money for the opportunity to "maybe" acquire a new buyer. It's no different online. Instead of paying your printer/paper rep/USPS/co-op money, you owe Google $0.57 per click. Those are the old-school ways of acquiring customers, and they're expensive. So expensive, in fact, that you can only acquire a small number of customers ... paying customers that generate enough profit to offset the costs associated with acquiring the customer. Co-ops provide you with Traditional customers. Google provides you with Transitional customers. And, for many of us, that's more than enough. But if you want to see something interesting, pay attention to the ways that businesses catering to Transformationals acquire customers. It's different. I'm not saying it is right or wrong. But it is worth paying attention to. Social isn't a Twitter feed that 129 customers follow to learn about 15% off plus free shipping today only! Social and Mobile are built into the fabric of the entire experience, the entire experience attracts users, users attract users, and a percentage of users pay money. I know, I know. You sell widgets to 57 year old customers, and 57 year old customers don't care about any of this. I agree, your 57 year old customer is a Traditional customer, and is not going to change. You're going to have to mail catalogs to get this customer to purchase, and you're going to have to pay co-ops for a long time to find customers that will be 58 years old next year, 62 years old in five years, and 67 years old in ten years. So, I'm not asking you to create some viral customer acquisition program built into the fabric of Facebook, because that won't work when you target a 57 year old customer. But I am asking you to pay close attention to how Transformational customers behave ... pay close attention to the businesses they purchase from ... pay close attention to the ways that these businesses generate network effects ... pay close attention to how these businesses acquire customers at a very low cost. Here's an example, click here. I realize this isn't your business model, but I'm not asking you to follow this business model, I'm asking you to pay attention to what other people are doing. The future of direct marketing is low cost customer acquisition. And while the catalog business model is effective for at least a decade while the baby boomer generation eases into retirement, we'll eventually need to become efficient at marketing to the Transformational audience, in order to improve our odds for long-term success. You're a cataloger ... belittled by the digerati, smart enough to still be generating profit after all of these years of customer migration to the online channel. Good for you! Now, you're smart. You categorized customers into Traditionals / Transitionals / Transformationals. You're basically ahead of your competition. Good for you! You're so smart that you executed a mail/holdout test on your November catalog. Six weeks passed since the in-home date, so you're analyzing results now. Good for you! You already know that the "mail" line represents matchback results. Look at the profit numbers ... they look sumptuous, don't they? But they don't reflect reality. Reality is contained in the "Increment" line, where we subtract the difference between the mailed group and the holdout group. It's here that things get interesting. Look at Traditionals. These folks are very profitable, from a catalog marketing standpoint. By and large, these customers are more profitable than are Transitionals or Transformationals. We've know this for a decade, we keep telling each other that online customers have lower long-term value. And that keeps us from maximizing our business. Instead of figuring out how to have a relationship with Transitionals and Transformationals, we simply try to find more Traditionals. And the co-ops are really good at optimizing performance around this audience! Yup, you heard the news about the USPS: (Click Here to Read). Again, we can fight this thing to the bitter end, and that's ok, have at it. You have great advocates at the ACMA who literally do thankless work on your behalf, largely for free ... a shame for those kind folks, but a huge benefit to your business. Then there's the reality, the reality that is actually haunting the USPS ... information is being transmitted digitally, and when it is transmitted digitally, the business model can no longer work given the expense structure of the USPS. This is not going to change. As you know, I've created an algorithm that segments customers into one of three groups. Traditionals: They must continue to get catalogs, or sales decline, rapidly. Transitionals: They have moved online in the past decade ... catalogs are only a portion of their total shopping experience ... you can cut back here without pain. Transformationals: These customers do not care about catalogs ... you can cut back dramatically here, and the customer will barely notice. This customer has moved from e-commerce into mobile/social, they operate in a world foreign to catalog marketers. We're not going to stop the transition from printed information to digital information. Maybe it's time we accepted this fact. Instead, let's segment customers into groups that have similar behavior, and start moving our business models into the future. The Traditional customer is still worth building a catalog business around, regardless of what happens with the USPS. This audience represents between 15% and 60% of the customer file of the clients I work with. It's largely a 55+ rural audience. Catalog marketing matters to this audience. In fact, in most cases, you should be mailing these customers MORE often. Yes, MORE often! You are leaving profit on the table. The Transitional customer is leaving print. We can save a lot of money (and rely upon the USPS less) by transitioning with this customer. Think of this customer as being an email subscriber who actually purchases from email campaigns, or a branded search customer placing a second order with your brand. The Transformational customer never cared about print in the first place. We can/should build new business models around this customer. I have a lot of project requests around identifying the Traditional / Transitional / Transformational customer. And if you respond between now and December 31, I will honor 2011 pricing for your 2012 project. Remember, my Catalog PhD projects (now evolving into Traditional / Transitional / Transformational projects) help $100,000,000 clients generate $1,000,000 of incremental, additional, bottom-line profit on an annual basis. So sign up now, and in doing so, you guarantee 2011 pricing for your 2012 project. Contact me by clicking here, right now! You can't get away from it ... folks wanting to link catalog marketing and the iPad. Now, of course I fully support experimentation in this realm. But, as an industry, we are making a series of bets, aren't we? We bet that Transitionals and Transformationals are looking for a modernized version of e-commerce, one that links the past (catalogs) to the future (undefined). We are betting that these customers were not shopping with us because our business model wasn't advanced enough to meet their needs. We bet that we can get existing Traditionals to spend more by offering these customers yet another purchase channel. We are betting that, long-term, we can mail fewer catalogs, pushing customers into digital catalogs or following customers as customers migrate away from print into digital catalogs. We bet that this type of shopping experience is better than our existing shopping experience. We are also making a significant bet, one we don't often consider. We are betting that it is better to bolt the iPad experience to the existing business than it is to create a new shopping experience using new technology. This is a HUGE assumption. Pay CLOSE attention to how non-catalogers monetize iPad Apps. Pay close attention, for instance, to how the gaming community monetizes games on the iPad. Here, mobile/social/viral elements are built into games ... there aren't technically "channels" ... instead, what we call "channels" are built into the fabric of the experience ... an inside-out approach that catalogers are simply not used to.